Throw on an apron and get cooking if you want to impress your girlfriend or wife this season. Those male celebrity chefs learned the secret to a woman’s heart a long time ago, and there’s no better place to show yourself off than in a kitchen filled with steaming pots and delicious aromas. Fall is great for cooking the kind of recipes that are actually fun to pull off as well, so glaze, caramelize, and roast everything you can get your hands on. Here are three ways to use up your apples in your recipes this season so that you can turn it into a proper evening of romance for two when it’s cold and dark outside. A salad is not a meal unless you include protein and grains in it, but that shouldn’t stop you from assembling a proper side-dish to pair with your steak. Apples are refreshingly crisp and pair well with many of the vegetables that are in season now; dish up a quinoa and beetroot salad with pecan nuts and apples, for example, and serve it with a juicy steak and a glass of red wine. Not only will the colors look magnificent together, but the combination of apples and beetroot is the kind of culinary sass that scores a lot of points. A lentil salad is also an excellent option, by the way, and by chopping up a few tart apples (think Granny Smith), you’ll be well on your way to a nice and colorful side dish. Serve the lentils and chopped apples with some baby plum tomatoes, basil leaves and a tangy vinaigrette for a refreshing spin on your side dish. When you’d like to put those apples in the spotlight, they need to share it with other ingredients. Apples as a main, on their own, doesn’t quite seem like a complete meal. This option is great for a casual mid-week dinner or a lazy Friday, by the way, and you’ll hardly have to set the table for it. While a cheese platter goes well with apples, you can give it a bit of extra thought by pairing the specific cheese types with the right kind of apples. 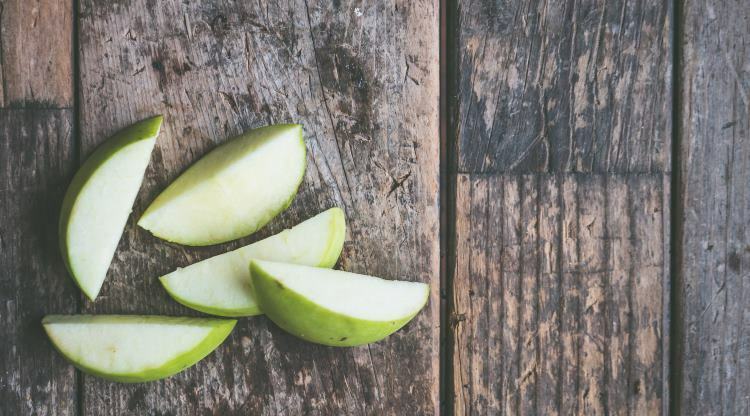 Cheddar and bleu cheese pairs well with sweeter apples such as golden delicious; tart apples, such as Granny Smith and Cox work very well with gouda. Have a look around the web, and you’ll be able to serve her a gastronomical experience out of the ordinary. It’s not enough with just cheese and apples for a platter, though, and it’s a good idea to add a few handfuls of cured meats or mussels and oysters, depending on the kind of platter you’re assembling. Pair it with an interesting white wine or something fancier such as Japanese rice whiskey to really knock her socks off – here is an overview of kikori whiskey price for your convenience, and prepare to harvest some serious relationship points. Nothing speaks fall like a deliciously aromatic apple pie, and it’s really not even that hard to bake – at least not once you’ve gotten the hang of it. Braeburns are great for apple pies, by the way, as their sweet flavor complements the sugar and gives it that proper dessert taste, but you can safely choose other sweet apples such as Golden Delicious or Jazz. Have a look at this recipe to get started and remember that, even if you don’t get it right the first time, there’s always more apples out there to help you bake another pie.